Do famous actors make good film directors? Well if the likes of Clint Eastwood, George Clooney, Sean Penn and our very own Peter Mullan are anything to go by then the answer must be yes. 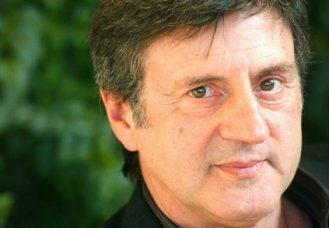 The latest to take the directorial reigns is one of France’s most prolific actors Daniel Auteuil. He has chosen for his debut to remake the 1940’s film of the same name The Well Diggers Daughter (2011) the original was written and directed by the novelist, playwright and filmmaker Marcel Pagnol. If that name rings a bell than its because he was responsible for writing the novels that two of France’s most influential and successful films were adapted from; Jean de Florrete (1986) and its sequel of the same year Manon des Sources. Indecently it was these two films that turned Daniel Auteuil into a star and were deemed to have captured the beauty of rural Provence more than any other French film. This beauty is again evident in this latest romantic comedy drama. Delightfully presented and filmed, it’s begins just before the start of World War Two and tells the story Pascal Amoretti (Auteuil) the widowed well digger of the title who has six daughters. 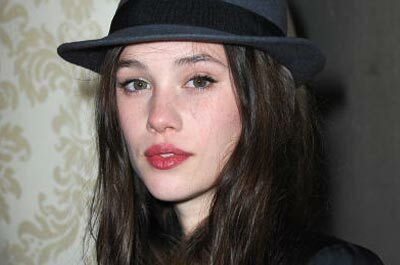 The eldest of which is the beautiful 18-year-old Patricia (Astrid Berges-Frisbey) who has a very brief affair with Jacques Mazel (Nicolas Duauchelle) the rich son of a local storeowner and an air force pilot whose taken away to war before you can say ‘pregnant’. Felipe Rambert (Kad Merad) Pascal’s middle-aged assistant is in love with Patricia and when he finds out that she is expecting a child offers to marry her. Still in love with Jacques, who has now been reported missing presumed dead, she turns Felipe down and is banished by her father for disgracing the family and sent to stay with his sister who is also a fallen women. Jacques mother (the attractive Sabine Azema who I last saw in 2009 Wild Grass) and father (Jean-Pierre Darroussin) want nothing to do with their newly born grandson. It’s great to have the pleasure to watch, what I would describe, as an old fashioned film of love and manners, one with a linear narrative and one which leaves you with a warm feeling, which does not go amiss this time of year! If your looking for a film with no hidden meanings, honest and straightforward camera work, a agreeable story line and a director that brings out the authenticity of the characters then I think you will agree that Auteuil debut is a success, albeit a very French style success.